Ulterior motives lurk behind the Ukraine sales pitch. The year-end push by Toshiba-Westinghouse to supply nuclear fuel to Kiev is a backhanded tactic to overturn the DOE decision to halt construction on the Savannah River MOX fuel fabrication facility. Anti-Moscow rhetoric and geopolitical arguments for switching Ukraine to Western-based energy systems (fracking, tanker-delivered oil imports and MOX fuel) bolster the odds for congressional funding to complete the Savannah River MOX facility. Started in 1999 to dispose of plutonium from warheads under nuclear-weapons reductions agreed between Washington and Moscow, the MOX plant has already cost taxpayers $4 billion while an added $3.8 billion in project overruns is the low estimate before the operations are scheduled to begin in 2019. Unfortunately for Toshiba-Westinghouse, the main arguments against completing Savannah River are based on security questions. The technological factor behind abandoning MOX for nonproliferation purposes was the introduction of laser-extraction systems that enable nuclear engineers to efficiently remove pure plutonium from spent MOX fuel rods. Nations with nuclear-weapons ambitions just have to place an order for MOX fuel to obtain high-grade plutonium. To anyone with a rational mind, shipping nuclear fuel to the land of Chernobyl might seem not only criminal and unethical but also an act of sheer madness. Yet, under a 2008 contract, Westinghouse (which is majority-owned by Toshiba), has already started supplying uranium fuel assemblies to three reactors at the South Ukraine nuclear plant. What’s profitable for the nuclear industry in the US and Japan is toxic for the EU, particularly its more environmental and anti-nuclear member-nations including Germany and Austria, which will have no choice but to accept this legal precedent for continent-wide fracking and a revival of nuclear power. Ukraine serves as the bridgehead for US-Japanese takeover of the European energy industry, but it is a “bridge too far” because the strong possibility of a Fukushima-type MOX fuel explosion at its aging nuclear plants would exterminate all of Europe. The European public should find little reassurance in that fact that Toshiba built the Fukushima Reactor 3, which blew apart in a mushroom cloud sending microparticles of plutonium as far as Scandinavia and the French Alps. Now the very same company responsible for Fukushima radiation spreading to Europe is toying around in the EU’s backyard. No doubt Ukrainian nationalists might rejoice at the sudden prospects of Kiev regaining its nuclear-weapons production capability, which was surrendered to Washington’s nonproliferation soon after its independence from the Soviet Union in 1991. That proud national aspiration, in the cold light of geopolitics, will remain only a dream. Any nuclear deterrence will be provided by NATO missile launch pads and bomber airfields, transforming Ukraine into a battlefield and radioactive graveyard. Instead of gaining real independence, Ukraine has sadly reverted to its traditional place as a brutal buffer zone. The truth is bitter, indeed. Ukraine is getting a raw deal. The proposed high-level waste repository is the predictable price for steep discounts on nuclear technology shipped in modules onto the docks at Odessa along with casks of spent fuel. Japan is in dire need of a foreign nuclear-waste dump, especially for its damaged Fukushima fuel rods, following rebuffs from Russia, China and Mongolia. The US, also straddled with decades of spent-fuel rods, needs an alternative to the canceled Yucca Mountain repository site. Thus, under this unsavory “international partnership”, Toshiba-Westinghouse and AREVA make the profits while Ukraine gets stuck with piles of nuclear waste. At this point in time, the easiest way to dump nuclear waste is to provide unsuspecting nations with MOX fuel rods, which actually a repository for surplus plutonium. The Energy Ministry’s “new concept of nuclear power” and a proposed “fuel fabrication plant” are code words for the planned conversion of the Russian-built VVER pressurized water reactors for MOX fuel rods. Retrofitting has sizable risks, as shown at Fukushima. Westinghouse has recently negotiated a deal with to provide an undisclosed type of nuclear fuel for two additional reactors to be built at Energoatom’s Khmelnitsky plant in northwest Ukraine. The deal eliminates fuel rods from Russian nuclear-engineering company TVE, the main contractor for plant construction which operates its own mine and fuel plant in Kazakhstan. Since then Energoatom director Natalia Shumkova stated the company might start shipping its nuclear waste to the AREVA recycling facility in La Hague, France. AREVA states that its facility separates uranium (95%) and plutonium(1%) as ingredients in new fuels. MOX, in short, is garbage fuel. The 15 reactors in Ukraine’s four nuclear plants have Russian-designed VVER (pressurized water) reactors of the type that can be converted from enriched uranium to MOX fuel rods. The problem is that many of the Russian-built reactors have reached their 4-decade lifetime limit and are now in permanent disrepair, a fact underscored by shutdowns at the giant Zaporozhye nuclear-power plant’s Reactor 3 in late November and at its Reactor 6 a month later. Energoatom reported the causes of both accidents as minor electrical problems and denied late November reports from a Baltic monitoring station of wide-ranging atmospheric radiation releases. 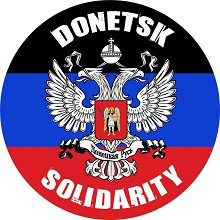 Also ignored were reports from the nearby Donetsk area, where surges in radiation levels were detected at the end of December. The Ukraine nuclear industry must have adopted the TEPCO standards for public disinformation. Or perhaps lying about the dangers of radiation is a homegrown legacy of Chernobyl. 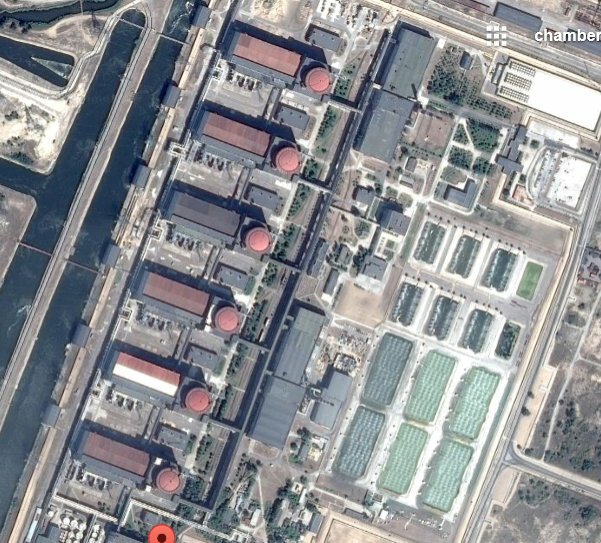 One last point needs to be considered as a spur toward civil peace in unfortunate Ukraine: Zaporozhye with its six reactors is the largest nuclear plant in Europe and lies within easy artillery and rocket range of the battle lines in eastern Ukraine. Collateral damage or a plane crash onto Plant Z would make Chernobyl seem like a picnic in the countryside. Yoichi Shimatsu is a Hong Kong-based science journalist and environmental consultant who has conducted radiation studies inside the Fukushima exclusion zone and the Hanford and San Onofre nuclear plants. On December 3 1984, more than 40 tons of methyl isocyanate gas leaked from a pesticide plant in Bhopal, India, immediately killing at least 3,800 people and causing significant morbidity and premature death for many thousands more. The company involved in what became the worst industrial accident in history immediately tried to dissociate itself from legal responsibility. Eventually it reached a settlement with the Indian Government through mediation of that country’s Supreme Court and accepted moral responsibility. It paid $470 million in compensation, a relatively small amount of based on significant underestimations of the long-term health consequences of exposure and the number of people exposed. The disaster indicated a need for enforceable international standards for environmental safety, preventative strategies to avoid similar accidents and industrial disaster preparedness. Since the disaster, India has experienced rapid industrialization. While some positive changes in government policy and behavior of a few industries have taken place, major threats to the environment from rapid and poorly regulated industrial growth remain. Widespread environmental degradation with significant adverse human health consequences continues to occur throughout India. December 2004 marked the twentieth anniversary of the massive toxic gas leak from Union Carbide Corporation’s chemical plant in Bhopal in the state of Madhya Pradesh, India that killed more than 3,800 people. This review examines the health effects of exposure to the disaster, the legal response, the lessons learned and whether or not these are put into practice in India in terms of industrial development, environmental management and public health. In the 1970s, the Indian government initiated policies to encourage foreign companies to invest in local industry. Union Carbide Corporation (UCC) was asked to build a plant for the manufacture of Sevin, a pesticide commonly used throughout Asia. As part of the deal, India’s government insisted that a significant percentage of the investment come from local shareholders. The government itself had a 22% stake in the company’s subsidiary, Union Carbide India Limited (UCIL) . The company built the plant in Bhopal because of its central location and access to transport infrastructure. The specific site within the city was zoned for light industrial and commercial use, not for hazardous industry. The plant was initially approved only for formulation of pesticides from component chemicals, such as MIC imported from the parent company, in relatively small quantities. However, pressure from competition in the chemical industry led UCIL to implement “backward integration” – the manufacture of raw materials and intermediate products for formulation of the final product within one facility. This was inherently a more sophisticated and hazardous process . In 1984, the plant was manufacturing Sevin at one quarter of its production capacity due to decreased demand for pesticides. Widespread crop failures and famine on the subcontinent in the 1980s led to increased indebtedness and decreased capital for farmers to invest in pesticides. Local managers were directed to close the plant and prepare it for sale in July 1984 due to decreased profitability . When no ready buyer was found, UCIL made plans to dismantle key production units of the facility for shipment to another developing country. In the meantime, the facility continued to operate with safety equipment and procedures far below the standards found in its sister plant in Institute, West Virginia. The local government was aware of safety problems but was reticent to place heavy industrial safety and pollution control burdens on the struggling industry because it feared the economic effects of the loss of such a large employer . At 11.00 PM on December 2 1984, while most of the one million residents of Bhopal slept, an operator at the plant noticed a small leak of methyl isocyanate (MIC) gas and increasing pressure inside a storage tank. The vent-gas scrubber, a safety device designer to neutralize toxic discharge from the MIC system, had been turned off three weeks prior . Apparently a faulty valve had allowed one ton of water for cleaning internal pipes to mix with forty tons of MIC . A 30 ton refrigeration unit that normally served as a safety component to cool the MIC storage tank had been drained of its coolant for use in another part of the plant . Pressure and heat from the vigorous exothermic reaction in the tank continued to build. The gas flare safety system was out of action and had been for three months. At around 1.00 AM, December 3, loud rumbling reverberated around the plant as a safety valve gave way sending a plume of MIC gas into the early morning air . Within hours, the streets of Bhopal were littered with human corpses and the carcasses of buffaloes, cows, dogs and birds. An estimated 3,800 people died immediately, mostly in the poor slum colony adjacent to the UCC plant [1,5]. Local hospitals were soon overwhelmed with the injured, a crisis further compounded by a lack of knowledge of exactly what gas was involved and what its effects were . It became one of the worst chemical disasters in history and the name Bhopal became synonymous with industrial catastrophe . Estimates of the number of people killed in the first few days by the plume from the UCC plant run as high as 10,000, with 15,000 to 20,000 premature deaths reportedly occurring in the subsequent two decades . The Indian government reported that more than half a million people were exposed to the gas . Several epidemiological studies conducted soon after the accident showed significant morbidity and increased mortality in the exposed population. Table ​Table1.1. summarizes early and late effects on health. These data are likely to under-represent the true extent of adverse health effects because many exposed individuals left Bhopal immediately following the disaster never to return and were therefore lost to follow-up . Health effects of the Bhopal methyl isocyanate gas leak exposure [8, 30-32]. Immediately after the disaster, UCC began attempts to dissociate itself from responsibility for the gas leak. Its principal tactic was to shift culpability to UCIL, stating the plant was wholly built and operated by the Indian subsidiary. It also fabricated scenarios involving sabotage by previously unknown Sikh extremist groups and disgruntled employees but this theory was impugned by numerous independent sources . The toxic plume had barely cleared when, on December 7, the first multi-billion dollar lawsuit was filed by an American attorney in a U.S. court. This was the beginning of years of legal machinations in which the ethical implications of the tragedy and its affect on Bhopal’s people were largely ignored. 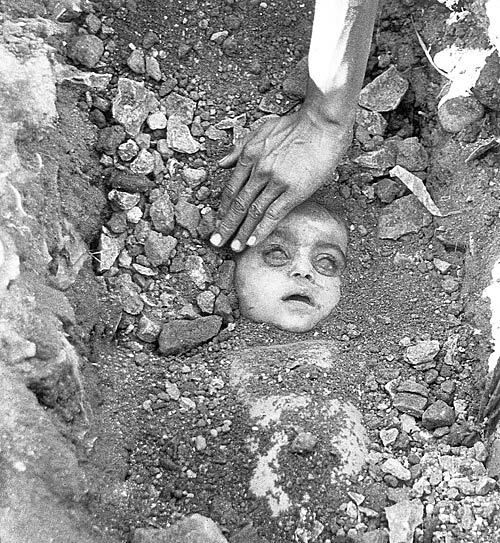 In March 1985, the Indian government enacted the Bhopal Gas Leak Disaster Act as a way of ensuring that claims arising from the accident would be dealt with speedily and equitably. The Act made the government the sole representative of the victims in legal proceedings both within and outside India. Eventually all cases were taken out of the U.S. legal system under the ruling of the presiding American judge and placed entirely under Indian jurisdiction much to the detriment of the injured parties. In a settlement mediated by the Indian Supreme Court, UCC accepted moral responsibility and agreed to pay $470 million to the Indian government to be distributed to claimants as a full and final settlement. The figure was partly based on the disputed claim that only 3000 people died and 102,000 suffered permanent disabilities . Upon announcing this settlement, shares of UCC rose $2 per share or 7% in value . Had compensation in Bhopal been paid at the same rate that asbestosis victims where being awarded in US courts by defendant including UCC – which mined asbestos from 1963 to 1985 – the liability would have been greater than the $10 billion the company was worth and insured for in 1984 . By the end of October 2003, according to the Bhopal Gas Tragedy Relief and Rehabilitation Department, compensation had been awarded to 554,895 people for injuries received and 15,310 survivors of those killed. The average amount to families of the dead was $2,200 . At every turn, UCC has attempted to manipulate, obfuscate and withhold scientific data to the detriment of victims. Even to this date, the company has not stated exactly what was in the toxic cloud that enveloped the city on that December night . When MIC is exposed to 200° heat, it forms degraded MIC that contains the more deadly hydrogen cyanide (HCN). There was clear evidence that the storage tank temperature did reach this level in the disaster. The cherry-red color of blood and viscera of some victims were characteristic of acute cyanide poisoning . Moreover, many responded well to administration of sodium thiosulfate, an effective therapy for cyanide poisoning but not MIC exposure . UCC initially recommended use of sodium thiosulfate but withdrew the statement later prompting suggestions that it attempted to cover up evidence of HCN in the gas leak. The presence of HCN was vigorously denied by UCC and was a point of conjecture among researchers [8,11–13]. As further insult, UCC discontinued operation at its Bhopal plant following the disaster but failed to clean up the industrial site completely. The plant continues to leak several toxic chemicals and heavy metals that have found their way into local aquifers. Dangerously contaminated water has now been added to the legacy left by the company for the people of Bhopal [1,14]. The events in Bhopal revealed that expanding industrialization in developing countries without concurrent evolution in safety regulations could have catastrophic consequences . The disaster demonstrated that seemingly local problems of industrial hazards and toxic contamination are often tied to global market dynamics. UCC’s Sevin production plant was built in Madhya Pradesh not to avoid environmental regulations in the U.S. but to exploit the large and growing Indian pesticide market. However the manner in which the project was executed suggests the existence of a double standard for multinational corporations operating in developing countries . Enforceable uniform international operating regulations for hazardous industries would have provided a mechanism for significantly improved in safety in Bhopal. Even without enforcement, international standards could provide norms for measuring performance of individual companies engaged in hazardous activities such as the manufacture of pesticides and other toxic chemicals in India . National governments and international agencies should focus on widely applicable techniques for corporate responsibility and accident prevention as much in the developing world context as in advanced industrial nations . Specifically, prevention should include risk reduction in plant location and design and safety legislation . Local governments clearly cannot allow industrial facilities to be situated within urban areas, regardless of the evolution of land use over time. Industry and government need to bring proper financial support to local communities so they can provide medical and other necessary services to reduce morbidity, mortality and material loss in the case of industrial accidents. Public health infrastructure was very weak in Bhopal in 1984. Tap water was available for only a few hours a day and was of very poor quality. With no functioning sewage system, untreated human waste was dumped into two nearby lakes, one a source of drinking water. The city had four major hospitals but there was a shortage of physicians and hospital beds. There was also no mass casualty emergency response system in place in the city . Existing public health infrastructure needs to be taken into account when hazardous industries choose sites for manufacturing plants. Future management of industrial development requires that appropriate resources be devoted to advance planning before any disaster occurs . Communities that do not possess infrastructure and technical expertise to respond adequately to such industrial accidents should not be chosen as sites for hazardous industry. Following the events of December 3 1984 environmental awareness and activism in India increased significantly. The Environment Protection Act was passed in 1986, creating the Ministry of Environment and Forests (MoEF) and strengthening India’s commitment to the environment. Under the new act, the MoEF was given overall responsibility for administering and enforcing environmental laws and policies. It established the importance of integrating environmental strategies into all industrial development plans for the country. However, despite greater government commitment to protect public health, forests, and wildlife, policies geared to developing the country’s economy have taken precedence in the last 20 years . India has undergone tremendous economic growth in the two decades since the Bhopal disaster. Gross domestic product (GDP) per capita has increased from $1,000 in 1984 to $2,900 in 2004 and it continues to grow at a rate of over 8% per year . Rapid industrial development has contributed greatly to economic growth but there has been significant cost in environmental degradation and increased public health risks. Since abatement efforts consume a large portion of India’s GDP, MoEF faces an uphill battle as it tries to fulfill its mandate of reducing industrial pollution . Heavy reliance on coal-fired power plants and poor enforcement of vehicle emission laws have result from economic concerns taking precedence over environmental protection . With the industrial growth since 1984, there has been an increase in small scale industries (SSIs) that are clustered about major urban areas in India. There are generally less stringent rules for the treatment of waste produced by SSIs due to less waste generation within each individual industry. This has allowed SSIs to dispose of untreated wastewater into drainage systems that flow directly into rivers. New Delhi’s Yamuna River is illustrative. Dangerously high levels of heavy metals such as lead, cobalt, cadmium, chrome, nickel and zinc have been detected in this river which is a major supply of potable water to India’s capital thus posing a potential health risk to the people living there and areas downstream . Land pollution due to uncontrolled disposal of industrial solid and hazardous waste is also a problem throughout India. With rapid industrialization, the generation of industrial solid and hazardous waste has increased appreciably and the environmental impact is significant . India relaxed its controls on foreign investment in order to accede to WTO rules and thereby attract an increasing flow of capital. In the process, a number of environmental regulations are being rolled back as growing foreign investments continue to roll in. The Indian experience is comparable to that of a number of developing countries that are experiencing the environmental impacts of structural adjustment. Exploitation and export of natural resources has accelerated on the subcontinent. Prohibitions against locating industrial facilities in ecologically sensitive zones have been eliminated while conservation zones are being stripped of their status so that pesticide, cement and bauxite mines can be built . Heavy reliance on coal-fired power plants and poor enforcement of vehicle emission laws are other consequences of economic concerns taking precedence over environmental protection . In March 2001, residents of Kodaikanal in southern India caught the Anglo-Dutch company, Unilever, red-handed when they discovered a dumpsite with toxic mercury laced waste from a thermometer factory run by the company’s Indian subsidiary, Hindustan Lever. The 7.4 ton stockpile of mercury-laden glass was found in torn stacks spilling onto the ground in a scrap metal yard located near a school. In the fall of 2001, steel from the ruins of the World Trade Center was exported to India apparently without first being tested for contamination from asbestos and heavy metals present in the twin tower debris. Other examples of poor environmental stewardship and economic considerations taking precedence over public health concerns abound . The Bhopal disaster could have changed the nature of the chemical industry and caused a reexamination of the necessity to produce such potentially harmful products in the first place. However the lessons of acute and chronic effects of exposure to pesticides and their precursors in Bhopal has not changed agricultural practice patterns. An estimated 3 million people per year suffer the consequences of pesticide poisoning with most exposure occurring in the agricultural developing world. It is reported to be the cause of at least 22,000 deaths in India each year. In the state of Kerala, significant mortality and morbidity have been reported following exposure to Endosulfan, a toxic pesticide whose use continued for 15 years after the events of Bhopal . Aggressive marketing of asbestos continues in developing countries as a result of restrictions being placed on its use in developed nations due to the well-established link between asbestos products and respiratory diseases. India has become a major consumer, using around 100,000 tons of asbestos per year, 80% of which is imported with Canada being the largest overseas supplier. Mining, production and use of asbestos in India is very loosely regulated despite the health hazards. Reports have shown morbidity and mortality from asbestos related disease will continue in India without enforcement of a ban or significantly tighter controls [26,27]. UCC has shrunk to one sixth of its size since the Bhopal disaster in an effort to restructure and divest itself. By doing so, the company avoided a hostile takeover, placed a significant portion of UCC’s assets out of legal reach of the victims and gave its shareholder and top executives bountiful profits . The company still operates under the ownership of Dow Chemicals and still states on its website that the Bhopal disaster was “cause by deliberate sabotage”. . Some positive changes were seen following the Bhopal disaster. The British chemical company, ICI, whose Indian subsidiary manufactured pesticides, increased attention to health, safety and environmental issues following the events of December 1984. The subsidiary now spends 30–40% of their capital expenditures on environmental-related projects. However, they still do not adhere to standards as strict as their parent company in the UK. . The US chemical giant DuPont learned its lesson of Bhopal in a different way. The company attempted for a decade to export a nylon plant from Richmond, VA to Goa, India. In its early negotiations with the Indian government, DuPont had sought and won a remarkable clause in its investment agreement that absolved it from all liabilities in case of an accident. But the people of Goa were not willing to acquiesce while an important ecological site was cleared for a heavy polluting industry. After nearly a decade of protesting by Goa’s residents, DuPont was forced to scuttle plans there. Chennai was the next proposed site for the plastics plant. The state government there made significantly greater demand on DuPont for concessions on public health and environmental protection. Eventually, these plans were also aborted due to what the company called “financial concerns”. . The tragedy of Bhopal continues to be a warning sign at once ignored and heeded. Bhopal and its aftermath were a warning that the path to industrialization, for developing countries in general and India in particular, is fraught with human, environmental and economic perils. Some moves by the Indian government, including the formation of the MoEF, have served to offer some protection of the public’s health from the harmful practices of local and multinational heavy industry and grassroots organizations that have also played a part in opposing rampant development. The Indian economy is growing at a tremendous rate but at significant cost in environmental health and public safety as large and small companies throughout the subcontinent continue to pollute. Far more remains to be done for public health in the context of industrialization to show that the lessons of the countless thousands dead in Bhopal have truly been heeded. J. Barab, B. Castleman, R Dhara and U Misra reviewed the manuscript and provided useful suggestions. Fortun K. Advocacy after Bhopal. Chicago , University of Chicago Press; 2001. p. 259. Shrivastava P. Managing Industrial Crisis. New Delhi , Vision Books; 1987. p. 196. Shrivastava P. Bhopal: Anatomy of a Crisis. Cambridge, MA , Ballinger Publishing; 1987. p. 184. Hazardous Installations Directorate. Health and Safety Executive; 2004. Accident Summary, Union Carbide India Ltd., Bhopal, India: December 3, 1984. Cassells J. Sovereign immunity: Law in an unequal world. Social and legal studies. 1996;5:431–436. Castleman B PP. Appendix: the Bhopal disaster as a case study in double standards. In: Ives J, editor. The export of hazards: trans-national corporations and environmental control issues. London , Routledge and Kegan Paul; 1985. pp. 213–222. Karliner J. The corporate planet. San Francisco , Sierra Club Books; 1997. p. 247. Bruno KKJ. Earthsummit,biz:The corporate takeover of sustainable development. Oakland, Ca , First Food Books; 2002. p. 237. Power M. The poison stream: letter from Kerala. Harper’s. 2004;August, 2004:51–61. Union Carbide Bhopal Information Center. wwwbhopalcom/ucshtm. 2005. [In a Russian city named “Peaceful” (which has obviously been built around a nuclear test crater), FSB forces busted three Wahhabi terrorists, with a bomb and a plan to detonate that bomb in a Russian chemical weapon decommission facility. This would have killed several hundred people, minimum. Somehow, these terrorists were hoping to translate this moronic “victory” for the “global jihad” into a ticket into the Syrian Islamists front. It is unknown whether this chem weapon disposal facility was playing a role in decommissioning Syria’s weapons, but Russia still has tons of the stuff there, waiting to be safely processed. Wahhabis planned to organize an explosion at one of Russia’s largest storage and destruction of chemical weapons. Prosecuted, detained two natives of the North Caucasus, who planned to go to “learn terrorism” in Syria. Victims of a crime could be hundreds of people. In the Kirov region opened a criminal case in connection with the preparation of a terrorist act, reported Tuesday in the Russian Investigative Committee. The case was opened against the two natives of the North Caucasus: 19-year and 21-year. They are suspected of committing a crime under Part 1 of Art. 30, paragraph “a” of Part 3. 205 of the Criminal Code (preparation for a terrorist act). In addition, it is reported that in respect of one of the defendants in another criminal case – for the crime under Part 1 of Art. 318 of the Criminal Code (violence against a representative of authorities). This is due to the fact that during the arrest he was active resistance to FSB and thus applied the abuse to the authorities. At the moment, both suspects were detained. The issue of their arrest. Also ongoing investigations. “Preventing terrorist act was made possible thanks to the coordinated work of the joint Russian Federal Security Service staff and investigators of the Investigative Committee of the Russian Kirov Region” – added to the IC Russia. In turn, the Kirov portal Newsler.ru referring to the regional Federal Security Service reported that the detainees in the terrorist attack after the completion of the crime were planning to go abroad in one of the camps of international terrorist organizations, where they were to get skills of sabotage. “In Kotelnich, very close – about 500 meters – from the object Maradykovsky, in the air-cache and taken by them in the non-residential building have been removed and the circuit components for the manufacture of explosives, a map object diagram HUHO and printed materials with signs of extremism,” – said the secret service . And, as investigators later added, two detainees Wahhabis planned to go to this “learning Terrorism” in Syria. “The Age of the detainees – 19 and 21. They had come from Moscow. The visit was followed by clearance of the passport check out, presumably to Syria for training terrorist cause, “- said at a press briefing on Tuesday, the head of the regional department of the Investigative Committee of Gregory Zhitenev, reports RIA “Novosti” . Later on, having arrived in the region, friends and conceived to attack on the stock of chemical weapons, “received information on the significance of the object and the possible resonance,” he said. Young men planned to blow up a bomb in the 10 kg of TNT. The fact that for the object to become bait for terrorists, said the head of the newspaper VIEW Tinkers city branch of the Russian organization “Union for Chemical Safety” Andrew Rams.At the moment there are seven Russian chemical weapons storage facilities located in six regions of the country. And the object “Maradykovsky” in the Kirov region is one of the largest. It reserves are concentrated about 17% of all chemical weapons, which is stored on the territory of Russia. “Additionally, we have stored weapons complex design,” – said the expert. The expert admitted that he knew about the foiled terrorist attack on the newspaper VIEW. And describing the state of security at the facility, said that it was much better than a few years ago. “I remember that when we first started this movement, somewhere in the 98 th year, has direct access to some sites was not very difficult. 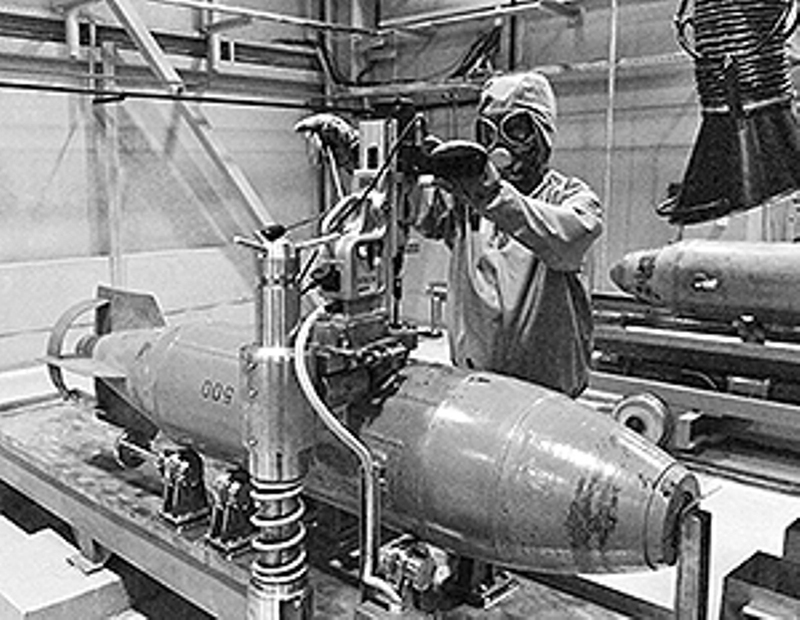 But now, from the time when there began the destruction of chemical weapons (from 2005 – approx. LOOK) – before it was the only storage facility – as I understand it, the protection was carried out with all the most modern facilities, “- said the Rams. According to him, the terrorist attacks or attempts of their conduct at the facility environmentalists have never heard of. But for various emergency situations, information received. “There have been affected. But you know, it’s not a candy factory, “- said the expert. There were serious concerns among environmentalists to object, especially at a time when there were just beginning work on recycling, on the methods of work, etc. “We would like there to be involved and scientists, not just the military. In addition, we at one time were not given to any referendum or an independent public environmental assessment work “- he remembered source of the newspaper VIEW. Responding to a question, why bother in Russia still keep chemical weapons, Andrew Rams said: “First of all, when it did, no one thought that it would have to be destroyed. It had to be destroyed only by natural means, that is, by its application. 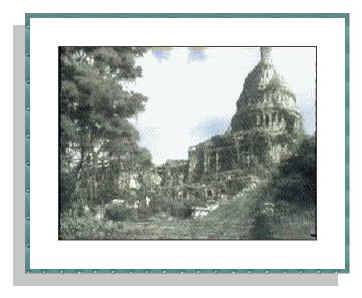 In the end, also had to destroy these very dense structure, especially when it comes to the types that are kept from us. The operation must be performed very carefully, in a special room with traps that the gases do not come to the surface, etc. This, of course, is one of the challenges for the rapid disposal of such weapons. And, finally, the case is not cheap, “- he said. With regard to the possible consequences of terrorist attacks, the expert agreed with the FSB, which would be a lot of casualties. “Stockpiles enough to not that man, and all living things around poison” – he suggested. According Taranova, just a few hundred meters from the object begins Peaceful residential village, home to about 4 million people. They would be in danger in the first place. In addition, it is unknown wherever the wind blew, and this would depend on pollution and other territories. According to media reports, on Maradykovskiy range – the second largest such structure in Russia – was filed almost seven thousand tons of toxic substances. In particular, there were about 4.5 million tons of chemical warfare agent VX, about 2 tons of soman, at least 230 tons of sarin, and more than 100 tons ipritnyh mixtures. However, most of this arsenal in recent years has been destroyed. By 2015 it is planned to dispose of the entire arsenal at this place, as well as on all other chemical weapons storage facilities in the country. In addition to the Kirov region such facilities are also located in Udmurtia (there are two, one is finished processing in 2009), Saratov region (finished processing in 2008), as well as in the Kurgan, Penza and Bryansk regions. In addition, there is a conserved object in the Samara region. Of the latter prevented the terrorist attacks in Russia, you can recall the incident in Bashkiria in the middle of September, when law enforcement officers cleared the bomb planted under power lines as early as 2004. According to investigators, Il’nur Akhmetshin, bomb threat, since 2006 the federal wanted list and was detained in Dagestan, passed RIA “Novosti”. July 30 National Anti-Terrorist Committee reported that the FSB has prevented a series of terrorist attacks in Dagestan, where six bombs were neutralized with a total capacity of 50 kg.On 18 July, in Kabardino-Balkaria were killed four militants who were planning a series of terrorist attacks in their country. June 27 bomb was found and defused at a stadium in the capital of Ingushetia, Nazran. 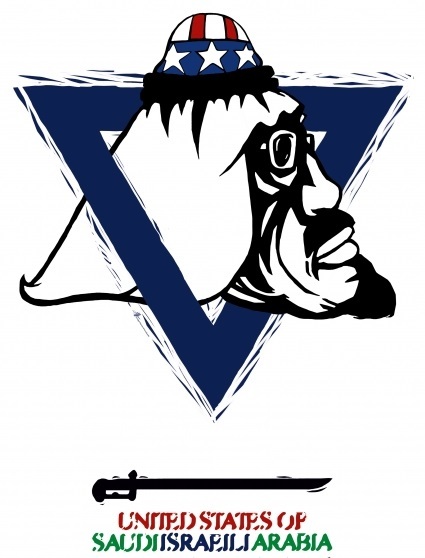 May 28 in the Volga Federal District were arrested members of a terrorist organization “Islamic Liberation Party” (“Hizb ut-Tahrir al-Islami”), who prepared a series of terrorist attacks in the Nizhny Novgorod region. Also, we should mention about the arrest in May of this year, the organizers of the preparation of terrorist attacks in Moscow. Militants neutralized in a rented apartment in Orekhovo-. “The members of this gang who commit a series of crimes in the territory of the republics of the Volga, in 2010, went to Afghanistan-Pakistan region, where received military training. After three years abroad bandits secretly returned to Russia, “- noted in the National Anti-Terrorism Committee of the Russian Federation. FSB officers arrested the organizers and performers, but customers terrorist attack and remained at large – according to the intelligence services, they are abroad. Last October, it was reported that the destroyed Kazan during the counter-terrorist operation Ruslan Kashapov and Robert VALEEV prepared explosion in crowded places during the holiday of Eid al-Fitr. A 31 August 2011 to celebrate the Eid al-Adha in Grozny explosions, claimed the lives of eight people. Several other people were wounded. So slowly but surely, material and human infrastructure of Central Asia is disappearing: roads, power plants, hospitals and schools as well as the latest generation of specialists, those involved in its operation and were trained by the Soviets. Post-independence regimes made little effort to maintain or replace both the technology that is wearing out, and the staff who are retiring or dying.The funds for this purpose have been eaten away by corruption and the collapse has generated protests. It has even overthrown a government. All countries in the region are affected by this situation one way or another.However, the two poorest, Kyrgyzstan and Tajikistan, are desperate. Their own experts say that in the coming years there will be teachers for their children and doctors to treat patients. Power cuts in Tajikistan in winter and are a tradition.Last up to more than twelve hours in rural areas. Kyrgyzstan also in the electrical system failures are increasingly common. Experts in both countries are concerned about the catastrophic collapse likely general, especially in the energy sector. Unless you take out a policy change, will face a future of eroded roads, schools and medical institutions run by retirees, or a new generation of teachers, doctors or engineers, whose shares will be purchased rather than earned by its own merits. These problems are exacerbated by other political vulnerabilities, including the expansion of the insurgency, the aging of an autocrat in Tajikistan and Kyrgyz State dangerously weakened. Uzbekistan and Turkmenistan are in the same direction. It is difficult to say how serious is the situation, since there is no reliable information or is secret. What it is obvious that extravagant and optimistic public statements are not reflected at all in reality. Hospitals marble facade model of Turkmenistan and the false prosperity of Uzbekistan statements are not the solution to the problems of these countries. Even Kazakhstan, the only country operating in the region will go through an ordeal because of deficiencies in their infrastructure. It has major problems especially in the area of ​​transportation and the training of technical staff. Any dream of economic diversification and modernization will wait. The current dilemma living these five countries has several causes. When they were part of the USSR, were incorporated into one system, especially in the areas of transportation and energy. These interdependencies have been difficult to undo, and produced serious imbalances. During the Soviet era, everyone was forced to work together. Now however do not need or have good relations between them, especially when it comes to energy issues. Education and health services were affected by the term social safety net. But far worse is that governments in the region seem to have believed that the Soviet legacy would last forever. The funds should be allocated to reforms in education, training and maintenance were often misused and insufficient. The consequences of this neglect are too terrible to be ignored. The rapid deterioration of infrastructure will deepen poverty and alienation of the state.The disappearance of the basic services provided to the radical Islamists, already strong in many Central Asian states, more arguments against regional leaders. They give you space to build support networks and influence. Economic development and poverty reduction will become an illusion, while the poorest countries will become even more dependent on the export of labor. In fact, anger at the sharp decline in basic services played a key role in the unrest that led to the ouster of Kyrgyz President Kurmanbek Bakiyev in April 2010. This resentment can be expressed similarly in other states in the region in the not too distant future, especially in Tajikistan. Also, events in one of the five countries may have an adverse effect on its adjacent. In fact, a polio outbreak in Tajikistan in 2010 required an immunization campaign in neighboring Kyrgyzstan and Uzbekistan, and infections were reported as far afield as Russia. Similarly, Central Asia may be adversely affected by its neighbors in the region: further decline in infrastructure is likely to match more instability in Afghanistan and a possible spillover of insurgency from there. The needs are clear, and there are solutions to the weakening of the infrastructure. The fundamental problem is that Central Asia’s ruling elites are unwilling to take steps to meet the basic prerequisites. This amounts to nothing less than total repudiation of the values ​​and behavior of regional leaders. Need to purge the corruption of their governments to stop using the resources of their countries for themselves and their families and create a meritocracy with decent salaries would free up officers need to rely on corruption. These changes are so far from the current reality that foreign governments and donors surely struck from idealists. But without an organized change from above, there is a serious risk of chaotic change from below. Donors are not doing anything to prevent this. His cautious approach seems largely inspired by the desire not to upset regional leaders to use the financial means at their disposal to create real change. Financial aid is generally used to meet annual or plans to move forward with broader geopolitical objectives.Without the participation of donors, the status quo will remain for some years but not more than that. The collapse of the infrastructure could weaken the regime, creating huge uncertainty in one of the most fragile parts of the world. The diversion of rivers in Uzbekistan for irrigation has contributed to the Aral Sea, a large saltwater lake, losing more than half of its surface area in 40 years. KHUJAYLI, Uzbekistan — Salt crunches underfoot like frosty soil on this bare stretch of land in western Uzbekistan. Uzbekistan, a land-locked country that was once part of the Soviet Union, is home to one of the biggest man-made disasters in history. For decades its rivers were diverted to grow cotton on arid land, causing the Aral Sea, a large saltwater lake, to lose more than half of its surface area in 40 years. But old habits are hard to break, and 17 years after the Soviet Union collapsed, cotton is still king and the environmental destruction continues unabated, cutting into crop yields. Uzbekistan is the world’s second-largest cotton exporter after the United States, drawing a third of its foreign currency earnings from the crop, but that status seems increasingly threatened by corruption, poor planning and the degradation of cropland. Far less money is spent now on maintaining the vast networks of water drainage and irrigation that crisscross the country than was expended under Communism. Authorities spend about $12 per hectare on maintenance (a hectare is around two and a half acres), down from $120 per hectare in Soviet times, according to the International Water Management Institute. Blocked drainage pipes push salt levels up, damaging the land and dragging crop yields ever lower. A United Nations report in 2001 estimated that 46 percent of Uzbekistan’s irrigated lands have been damaged by salinity, up from 38 percent in 1982 and 42 percent in 1995. How that has affected cotton production is a difficult question. Cotton and its production are ensnared in politics, so national statistics on it are scarce. But a pattern of decline in the industry was evident in three regions based on local figures provided to The New York Times. 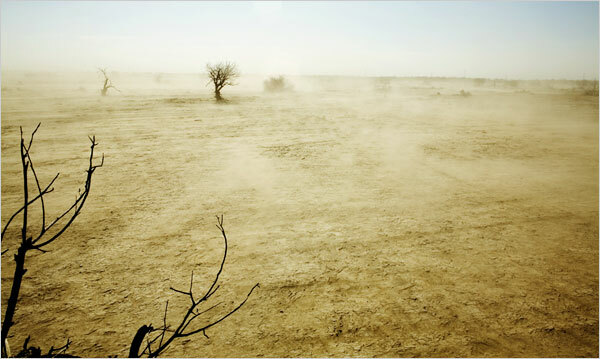 In Karakalpakstan, the region that contains what is left of the Aral Sea, the total area of land under cultivation has dropped by 14 percent since 1991, according to local statistics. In the Bukhara region in the south, land planted with cotton has declined by 15 percent in the past eight years, and in Jizzax, a region in central Uzbekistan, 15 percent of the cultivated land has become too salty to farm. In Manghit, a small city near Khujayli, an early sign of saltiness came in the 1980s when mushrooms that had grown along the banks of the mighty Amu Darya River began to disappear, a local farmer recalled. Soil that used to grow 4.5 tons of raw cotton, measured with seeds and stems, per hectare now produces 2.5 tons, and in some places as little as 1.3 tons, said the farmer, who asked that his name not be used because Uzbek authorities frown on people speaking to foreign journalists. Uzbekistan’s environmental problems date from the 1950s, when Nikita S. Khrushchevramped up industrial agriculture, diverting river flows into a vast new maze of industrial-size canals. Slowly, the land began to change. Sharing dwindling water resources is a maddening post-Soviet puzzle. Central Asia, once a single part in the Soviet machine, is now five countries with competing interests. Uzbekistan, the most populous, depends on its neighbor Kyrgyzstan for water. This year will be dry, Uzbek farmers and officials said, because Kyrgyzstan used more of its water than usual to generate electricity for heat last winter, which was unseasonably cold. Environmental woes, however, are only part of the problem. Uzbekistan’s farming industry is still largely frozen in its Soviet past. Though the industry was rearranged several years ago to break the Soviet-era collective farms into private plots, the price paid for cotton is still set by the government, as are the quotas for how much to grow. The state price is set at less than one quarter of the world market price. As yields decline and government prices remain low, farmers say that profits are increasingly elusive, and in some areas farmers have begun to abandon their fields. One farmer in Jizzax said he had stopped farming one parcel that had grown too salty, and he drove with a reporter past abandoned fields that stretched as far as the eye could see, more than 700 acres, he said. As in Soviet times, production plans are not closely coordinated with the realities on the ground, and in Jizzax the local authorities, whose jobs depend on fulfilling quotas, have started to force bad fields — about a third of the cultivated land area in the region, according to local statistics — onto state institutions such as the post office, the state pension fund and schools, three farmers there said. Those, in turn, are forced to farm the land or to pay cash to satisfy the quota. “Jizzax is an experiment,” said one of the farmers, who asked that his name not be published to avoid trouble with local officials. He provided a document for a plot of land that had been abandoned by a farmer and was now the responsibility of a local school. Farmers who did not meet quotas were fined and even taken to court, as was the case in April with 89 farmers. The farmers who are fined must pay with cash, which forms the heart of a cycle of corruption that has enriched officials for generations. Those officials, envied and vulnerable to charges of corruption, change with the seasons: In Jizzax, there have been five heads of the main cotton processing factory since 2000, the farmers said. Some farmers violate the government’s rules and plant crops other than cotton, a practice that has been encouraged by foreign experts who say that crop rotation will allow the land to rest. But the government has often prohibited other crops, not wanting to suffer declines in cotton, and farmers grow other things at their own risk. This spring in Tajikistan, a neighboring country that also relies on cotton, farmers were growing watermelons on the sly, as though they were crops of illicit opium poppies. The government is starting to acknowledge the problem, and last year it issued an order that will set up a fund for drainage improvements. The World Bank is also financing a program to improve drainage. Some experts argue that if irrigation is managed properly, the soil in most of the country can still be productive. Wheat yields, they say, have increased sharply in the past decade, which is evidence of soil fertility. In a study of 12 farmers in the Khorezm region over four years, Kirsten Kienzler, a doctoral student at the Center for Development Research of the University of Bonn, said their cotton and wheat harvests were not declining. She argued that farmers were still steeped in the Soviet system, in which the state did everything, and while it is true that they do not receive world prices for cotton, they are also not paying world prices for fuel, fertilizer or water, which are subsidized by the state. Even so, the state still owns the land, and farmers said they were leery of committing to large projects while they remained renters. A farmer in the Bukhara region said that he was no longer breaking even, since fuel prices jumped in the past few years, and that he secretly hoarded cotton to sell on the black market to pay his bills. “I am stealing from myself,” he said, gesturing at a storage room piled high with illicit cotton. “Soon I’ll have to sell these,” he added, snapping the waistband of his sweat pants. David L. Stern contributed reporting from Tajikistan. Fergana Valley – a deep and complex structurally intermountain trough ellipsoid. It is almost surrounded with high mountains (Kurama, Chatkal, Fergana, Alai and Turkestan ranges), and only in the west is a narrow passage in the Hungry Steppe. The peculiar position of the Fergana depression and its surrounding slopes of the highest ridges of Western Tien-Shan causes a pronounced vertical zoning, reflected in the hypsometry of relief. From south to north, from the crest of the Turkestan-Alai mountain system to the sandy massifs of Central Fergana, can be traced all the main types of terrain typical of mountainous areas bordering the lowland deserts. In this direction, a change of major soil types – from mountain-meadow alpine desert to the typical gray soils. On the surface of the device to clearly distinguish two zones – a flat (center), and Piedmont. The flat consists of a combination of gently rolling plains with well-defined alluvial fans, and closer to the middle – from the flat plains and foothills terraced alluvial plain, the valley of the Syr Darya presented and its components – the Naryn valley and Karadarya. Plains bordered strip of foothills consisting of piedmont rises and the small size and zaadyrnyh mezhadyrnyh basins. tailings from innocuous main problem of waste in Sughd Tajikistan is the presence of large tailings dumps radioactive waste and radioactive low-grade ores. By the volume of the accumulation of radioactive waste Sughd significantly ahead of other regions of the Fergana Valley. In the area also has a Anzob plant for the extraction and enrichment of mercury-antimony ores, two gold-mining factory. The danger lies in the fact that most of the tailings ponds are located near populated areas and near rivers. Many of the tailings have fencing and warning signs, so people in the immediate vicinity of the cattle graze, uses their building materials. Digmayskoy on hills (close to the Region and the city of Khujand Chkalovsk), 9 km from the Syr Darya have active tailings pond PA “Vostokredmet” radioactive waste and recovery of rare earth elements (vanadium), area of 70 hectares. The orange color of its surface from a height is clearly visible against the background of green irrigated fields and orchards in the Ferghana Valley. Digmayskoe tailing is the largest in the country and contains 20 million tons of waste processing uraniferous ore and about 5.7 million tons of waste processing of vanadium ore. On the surface radiation level reaches 150-250 mc / hr. Due to stoppage of production for processing of ore tailings surface has dried, and exposed waste, due to which the increased potential for wind transport of dust from radioactive elements in the surrounding area. To reduce the impact of wind-tailing was planted with reeds. Located near the town of Chkalovsk tailing “Cards 1-9”, the total area of 267 thousand square meters, covered with a neutral soil thickness of 0.5-1.0 m, which is insufficient to reduce the radiation risk, which are major sources of radon and the products of decay. Near the village is located Adrasman tailing former uranium ore production of 25 thousand sq.m. and the amount of 176 thousand cubic meters Digmayskoe uranium tailing dumps radioactive waste backfilled Adrasman GOK, but remediation has not been done. Because of the infiltration of storm water runoff are radioactive substances, as well as erosion of the sides of the tail under the influence of mud floods that occurred in 2004. The quantity of radiation in the diffuse field is 160 mR / hr. The difficult situation has developed in Taboshar. After the cessation of production of uraniferous ore in 1991 around a mining company and the city remained the tailings area 573 thousand square meters and a capacity of 7 million cubic meters In the field of waste exposure due to erosion and run-off background radiation exceeds 300 mR / hr. Volume dump low-grade ores is 33 million cubic meters Dump and open pit is not reclaimed. These materials are washed away by the wind and rain. Given this condition, the local population and authorities are deeply concerned, therefore, in Taboshar RESCA project in 2005-2006. conducted a survey of radio-ecological areas and identified the risks to public health. tailings radioactive waste in the city Gafurov (a suburb of Khujand) is the most well equipped. There is a protective layer of 2.5 meters, fencing and warning signs. Tailings are held regularly on measurements of background radiation. The tense situation in Anzob mining and processing plant on the river Yagnob, upper tributary of the river Zarafshan. Because of natural disasters in 1998 was put out of action 5-km slurry pipeline to the tailings line. In 1998-2002, the production of mercury-antimony concentrate at the plant has dropped significantly. In connection with the industrial growth in the years 2003-2006 was sharply question the safe storage of waste, since the time cards are overcrowded and unsafe. Another major mining venture on the river Zarafshan – gold mill in the village of Sogdiana. The basis used here is the technology of heap leaching application cyanides, which are highly toxic substances. However, their solution is neutralized with time. Other hazardous product in gold mining are the impurities of arsenic. Waste is stored in a specially designed tailings. Conservation authorities annually survey its safety. On the other gold mining companies in the region – SP “Aprelevka” – established the reuse of waste production. Dialogue is necessary not solved is the problem of cross-border industrial waste near the town of Bekabad (Uzbekistan). Waste dumps and 5-20 meters in height on at least 15 hectares of Bekabad steel plant located in the territory of Tajikistan. In the immediate vicinity is a large waste dump Bekabad. Conditions of storage of waste does not meet the environmental requirements of both countries, but the dialogue to solve the problem does not develop. Perhaps the greatest immediate threat to public health and the environment is Sughd Konibodom toxic waste landfill. Chemicals, biological agents (overdue or prohibited for use) are located near the district center, near the Great Fergana Canal and Kayrakkum reservoirs. Kanibodom on landfill from 1973 to 1990 were placed and mixed about 4 thousand tons of toxic waste. At the bottom of the landfill no waterproof layer and drainage, aquifers are not protected against the penetration of toxic chemicals, no fences, no comprehensive data on the amounts and types of hazardous substances. Also there are no observation wells down to the terrain, where the city Kanibadam key reservoirs. Not monitored environment. REHRA project were evaluated risks to human health and the environment and provides recommendations to address the problem. Household waste in Sughd are produced mainly in urban areas and stored at 17 sites. Every day in the city of Khujand produced 400-500 tons of waste to take out 26 garbage trucks (mainly tractors) on the already overcrowded landfills, located 17 kilometers from the city. Other significant sources of waste are the city of Isfara, Kanibadam, Istravshan with the volume of education 15 thousand tons of waste per year. Currently, an increasing number of containers of garbage collection. DOMULADZHANOV I., I. HODZHAMBERDIEV, M. Abdullaev, A. Teshabaev, N. Abdugani (Fergana Polytechnic Institute) Source: ECO-HR.4081 (Lev A. Fedorov) Bulletin “For chemical safety “, as well as http://www.ekois.net/wp/ illustrate the material on SREDA.UZ drawings of children of bidders Gorkomprirody Tashkent. 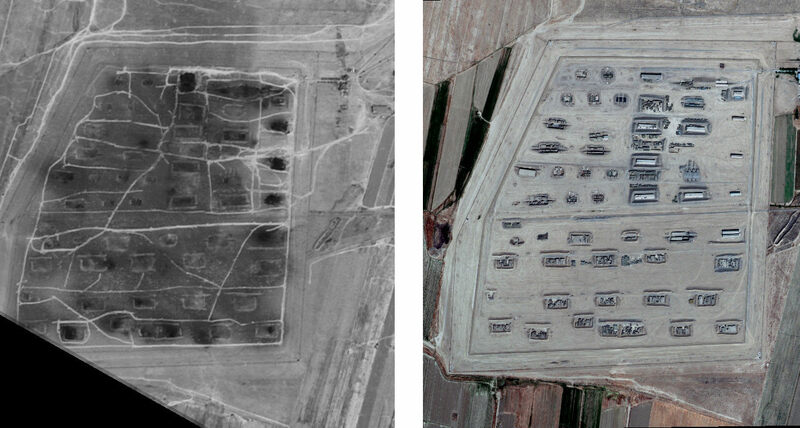 Russian Research and Development Centre “RDC” posted on its website satellite images of weapons depots near the town of Abadan ( Trukmenistan ), where the July 7 explosion. According to the company, staffing of satellite imagery, which clearly shows the explosion and its aftermath, online, transferred to the Ministry of Emergency Situations of Russia. Shooting warehouse using radar satellite RADARSAT-2 carried out on July 9. A detailed image from the device EROS A (resolution 1.9 m) was obtained on July 12. According to satellite data warehouse near Abadan destroyed, smoky plumes in the picture for July 12 are not observed, but clearly visible damaged storage and craters of exploded ordnance. Engineering and Technology Centre “RDC” (ScanEx) – market-leading Russian company providing a full range of services, from acquisition to thematic processing of Earth observation images from space. Today, ScanEx is the only Russian company that has signed licensing agreements with leading operators remote sensing for direct data acquisition from the satellite series IRS, SPOT, EROS, RADARSAT, ENVISAT ground stations UniScan ™ production. This is the first time, enabling regular monitoring of territories of Russia and CIS countries in real time with a spatial resolution of hundreds to less than one meter. Organization as a private company since 1989 Having absorbed all the best achievements of Russian higher education and scientific schools, the experts centers offer the most advanced and economical solutions in real-time satellite monitoring. Additional Information – http://www.scanex.ru , Tel / Fax: (495) 739-7385. El. Address: info@scanex.ru .